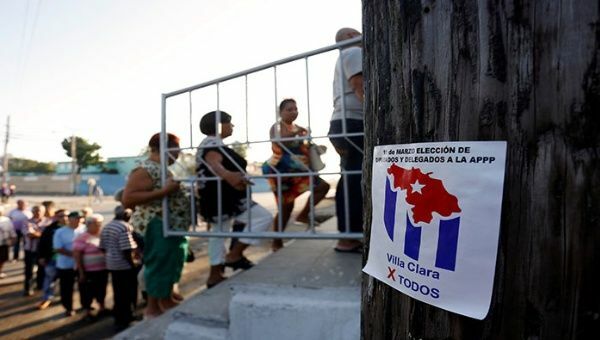 March 12 (teleSUR) With voter turnout for Cuba’s legislative election Sunday at almost 80 percent, the island completed the second stage of its general elections that will culminate in the election of a new executive in April. 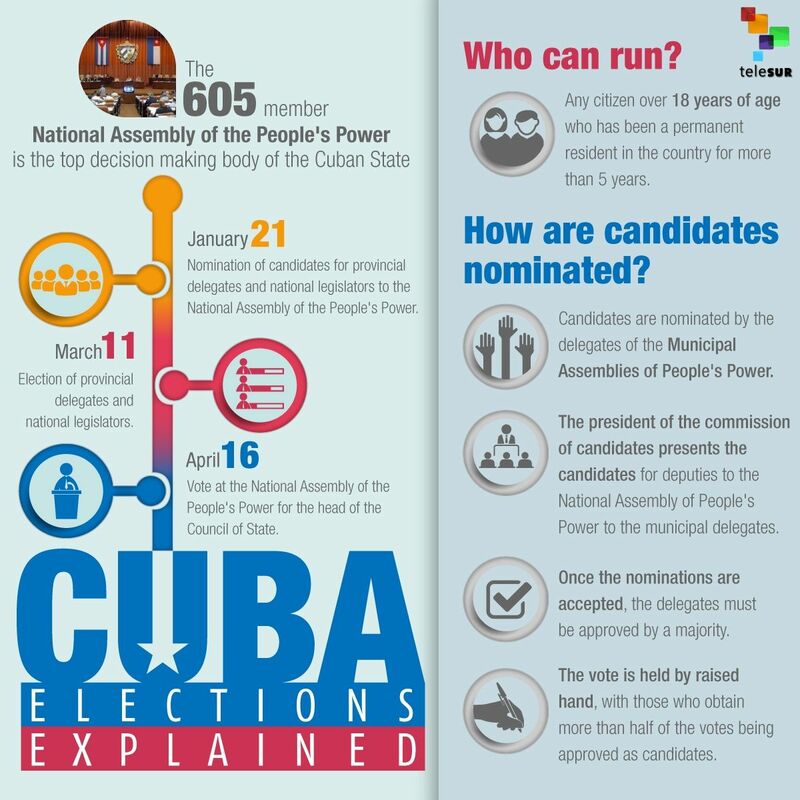 According to the National Electoral Commission (CEN), about 78.5 percent of voters – almost seven million people – participated in the election.More than eight million Cubans were eligible to vote for the 605 deputies to the National Assembly of People’s Power and the 1,265 delegates to the 15 Provincial Assemblies of People’s Power. On April 16, the incoming National Assembly will elect a new Council of State, who will then determine the body’s president. Under Cuba’s 1992 election law, those registered could cast their ballot in “a free, equal and secret vote” in some 24,470 polling stations across the country’s 168 municipalities.